Hooray to the Richards – The Amazing Race Asia 4 Winners!!! Posted in: 5 TV Tales. Tagged: AXN Channel, Claire & Michelle, Hussein & Natasha, Marina Bay Sands, Rich Hardin, Rich Herrera, The Amazing Race Asia 4. The Richards – Herrera and Hardin – raced to the max and checked in first at the finish line (right at the Observatory Deck of Marina Bay Sands). Host Allan Wu officially announced them as the winners of The Amazing Race Asia 4 and USD100,000.00 in cash. The final leg was in Singapore and it could have been a more nail-biting race had Hussein of Indonesia not quit the titghrope challenge atop Marina Bay Sands. Rich Herrera executed this part flawlessly and joined forces with Rich Hardin for the memory-based road block en route to the win. The Singaporean team of Claire and Michelle clocked in second, and despite getting a much later flight from Seoul to Singapore, outlasted Hussein and Natasha of Indonesia who had to endure a 4-hour penalty for not completing a challenge. Posted in: 2 Shout-out-Looks, 5 TV Tales. Tagged: AXN Channel, Claire & Miichelle, Hussein & Natasha, Men's Health Philippines, Rich Hardin, Rich Herrera, The Amazing Race Asia 4. This is a spliced blog for Men’s Health Magazine and The Amazing Race Asia 4. At the same time, Rich and his namesake & good buddy Rich (Hardin) are in the Top 3 of The Amazing Race Asia 4 which will have its’ Season Finale tonight at 9PM on the AXN Channel. Watch and see if the Philippine Team will win the USD100,000 top prize or end as a runners-up to a team from either Indonesia (Hussein & Natasha) or Singapore (Claire & Michelle). Despite the rumors that the father-and-daughter team will become victors, I’m still rooting for the Philippine team. Rich & Rich – inspite of their navigational shortcomings from time to time – raced and played very well. I’m proud of them, especially Rich Herrera (my apologies!) who I initially tagged as just a typical society boy. 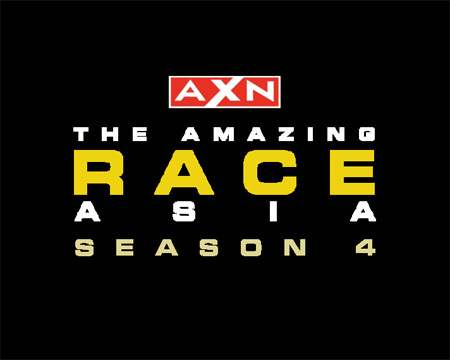 The Amazing Race Asia Season 4: Racers Revealed! Posted in: 5 TV Tales. Tagged: Alan Luk, Alan Wu, AXN Channel, Claire Goh, Dimple Inamdar, Hilyani Hidranto, Hussein Baron S., Ivan Evetovics, Jacinta James, Lani Pillinger, Lim Kok Hon, Manas Katyal, Michelle S. Ng, Mohd Khairie, Nadine Zamira Sjarief, Natasha Sutadisastra, Rich Hardin, Rich Herrera, Sahil Banga, Sunaina Gulia, TARA4, Tengku Hilda, The Amazing race Asia Season 4, Wendy Lee. I’m missing racers from Thailand, Japan and Korea. Two teams each are fielded by India, Indonesia, Malaysia and the Philippines. And one each from Singapore and Hong Kong. This could be interesting. The countries with double entries could either cancel each other out or help the other one to insure longevity in the race. So far, the two Malaysian teams could potentially go far in this season. These teams will be formally introduced tonight by host Alan Wu on the AXN Channel via The Amazing Race Asia Season 4: Racers Revealed show which starts at 9pm (SIN/MAL/PHL/INDIA), 10pm (HK) and 11pm (TW/KR). All images above courtesy of the axn-asia website.